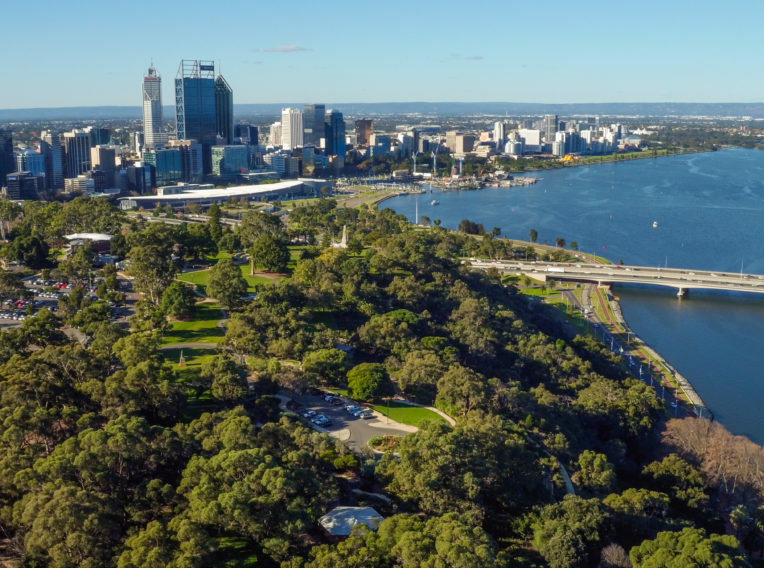 It’s unlikely John Forrest – the West Australian Premier of the day – could envisage his ‘Perth Park’ would draw six million visitors every year when he commissioned the garden back in 1890. 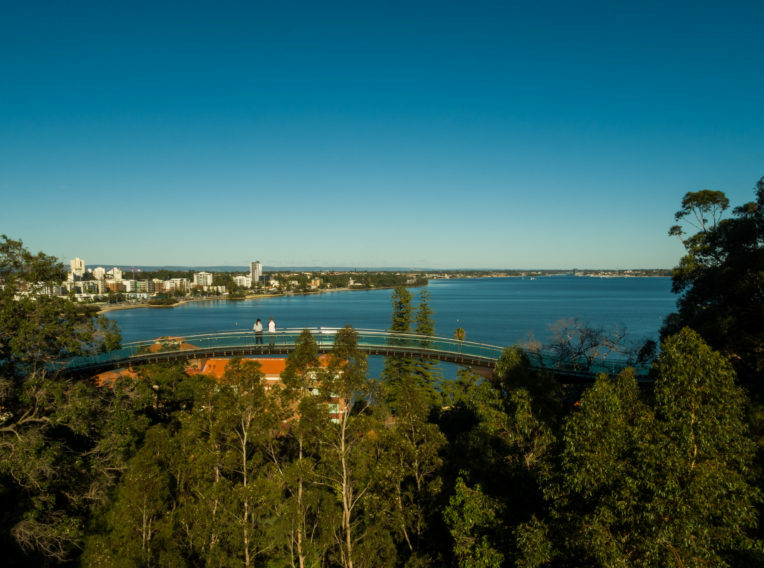 The original vision for Kings Park was for it to be a European style garden with lawns, shady trees and flower beds, but the climatic differences between Europe and Perth, and WA’s unique native proposition have long since changed these first plans. 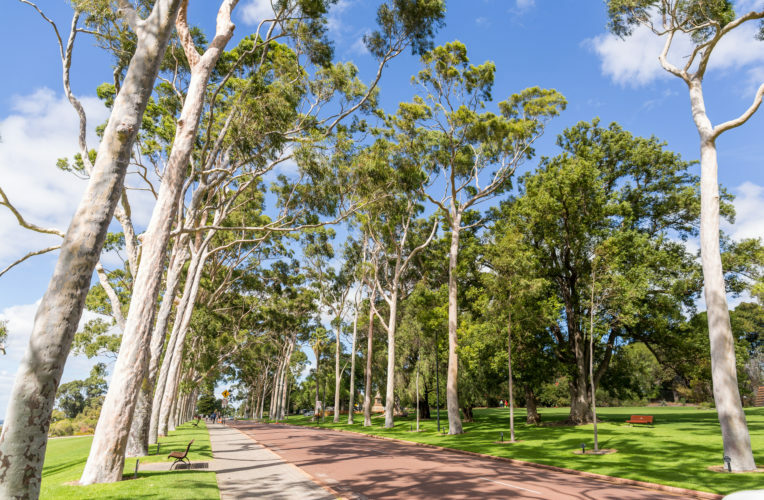 Still boasting sweeping lawns, avenues of trees, stately memorials and picnic grounds, a 17-hectare addition opened in 1985 as a living research centre which focuses on the conservation and display of WA flora. 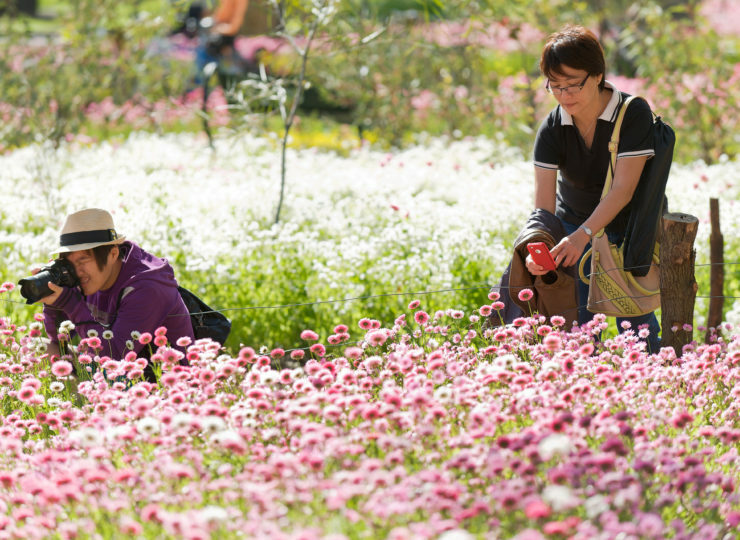 The West Australian Botanic Garden showcases an astonishing 3000 plant species including many of the iconic and visually arresting WA wildflowers from kangaroo paws, fairy orchids, Qualup bells and masses of pink everlastings. The Giant Boab ‘Gija Jumulu’ was brought 3200 kilometers from Warmun in the Kimberley region to Kings Park in 2008. The iconic tree is estimated at 750 years old, weighs 36 tonnes, 2.5 metres in trunk diameter and its branches stretch 14 metres up and eight metres wide. 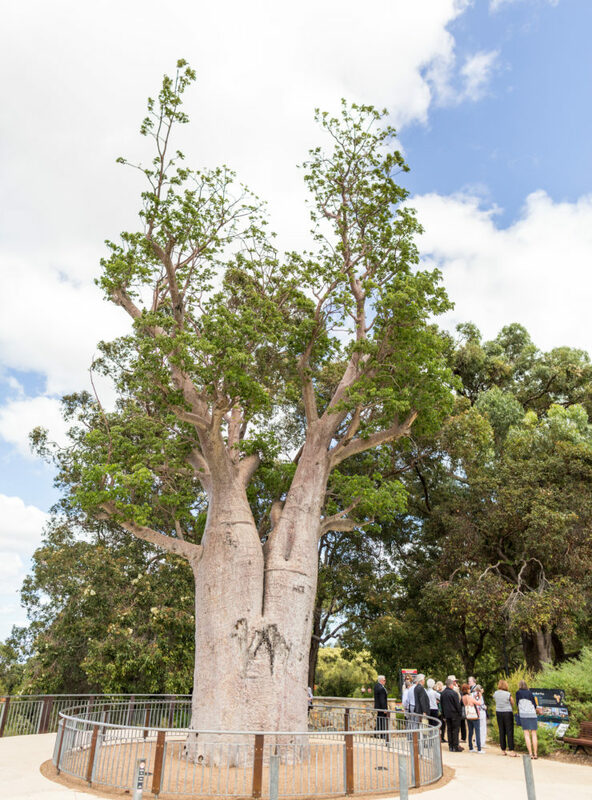 The tree needed to be relocated with construction of the Great Northern Highway and was gifted by the Warmun area’s local Indigenous people, the Gija, who are the traditional land owners. They performed a farewell ceremony to the ‘Jumulu’ (boab in Gija language). As a gesture of thanks, Kings Park staff collected some seeds once the tree was settled in the park, with the aim to grow 200 boabs to return to the Kimberley. 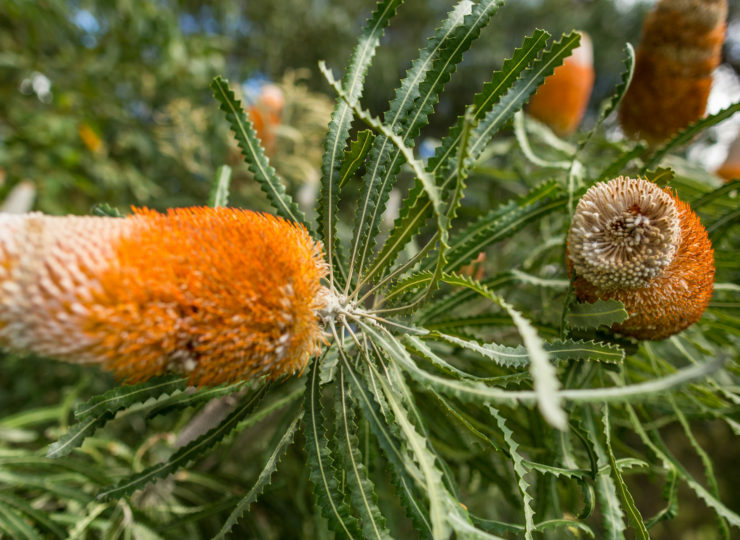 Banksias are uniquely Australian relics from the ancient supercontinent Gondwana. 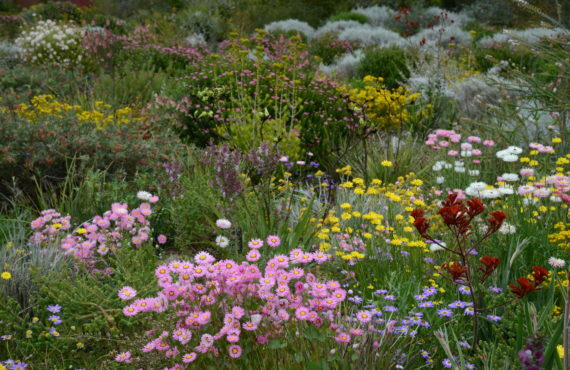 Of the 76 known species 62 are native to Western Australia, and the Banksia Garden houses the entire State collection. 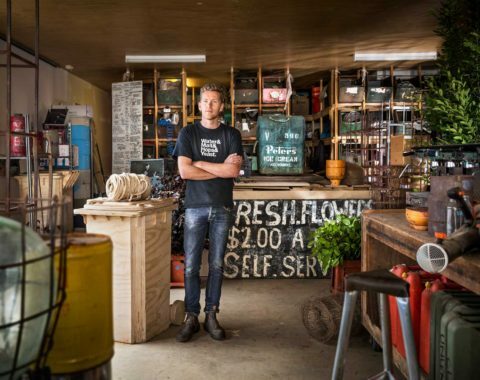 The Conservation Garden offers visitors a unique chance to see over 400 of WA’s endangered and most rare species, brought back from the brink of extinction by the Park through techniques such as DNA analysis and tissue culture. Plants are grouped according to region or type of country – granite outcrop, sand plain, northern, arid – and special sections for the critically endangered and winter-wet. 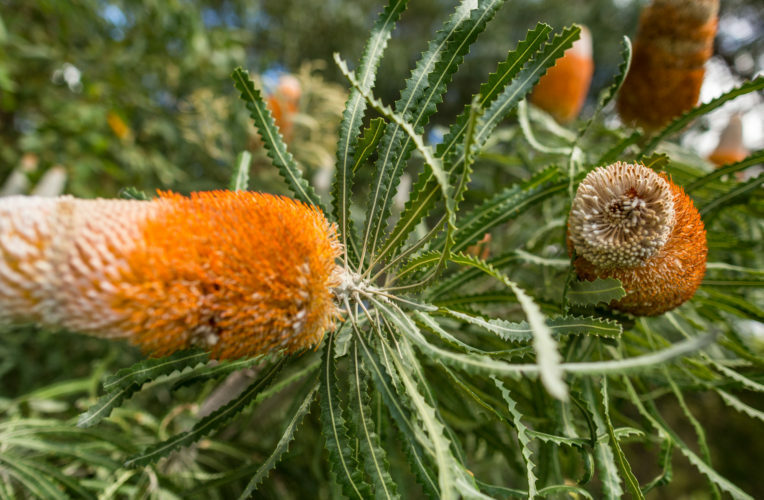 Some spectacular favourites are include species of Banksia, Darwinia, Dryandra, Eremophila, Grevillea and Verticordia. Acacias are the largest group of woody plants in Australia, and with over 1200 species they make up the largest native genus in Western Australia. 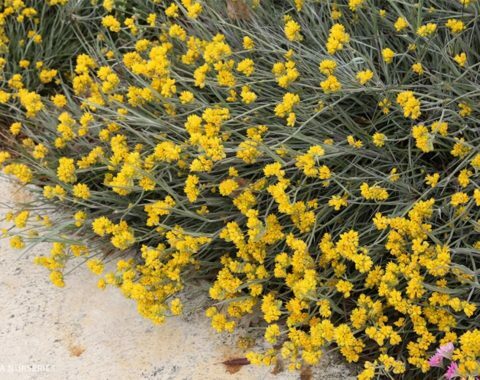 They are varied and versatile; growing as groundcovers and trees, favouring arid or semi-arid zones in desert and riverine settings. 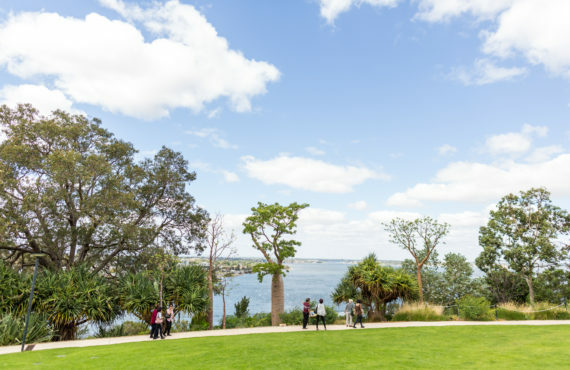 In the extensive 3,600 square metre Acacia Garden you’ll find the showiest species or those traditionally used for food and medicine or to make spears and implements by Aboriginal people. The well-known and loved wattle is often associated with yellow puffball blossoms, but acacias are really diverse in flower and leaf shape. Some acacias have ‘true’ leaves, others have lost their leaves and have flattened stems or phyllodes – a water-conserving adaptation to cope with heat and drought. 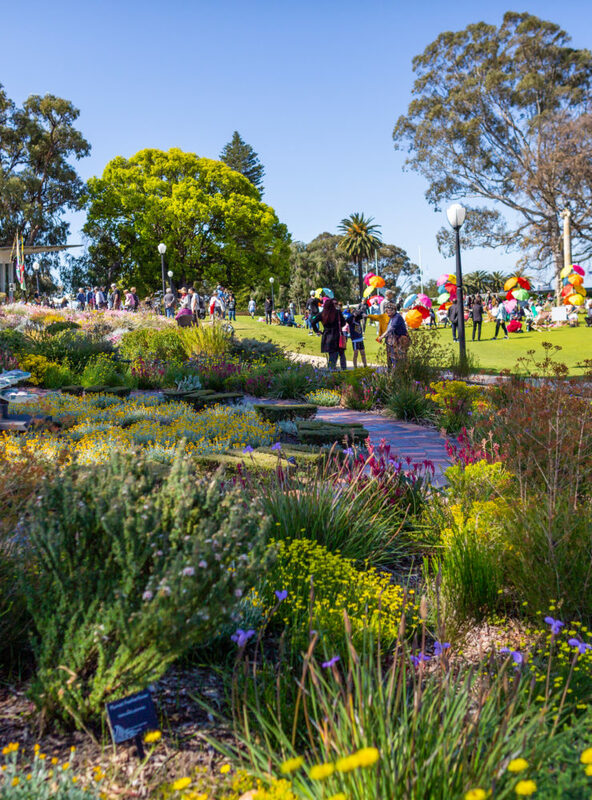 At the end point of the Botanic Gardens don’t miss the spectacular Roe Gardens, whose peak season draw-cards include copper-cups (Pileanthus peduncularis), Verticordia cooloomia, red morrison (V. etheliana var. formosa), sand bottlebrush (Beaufortia squarrosa), smokebush (Conospermum spp. 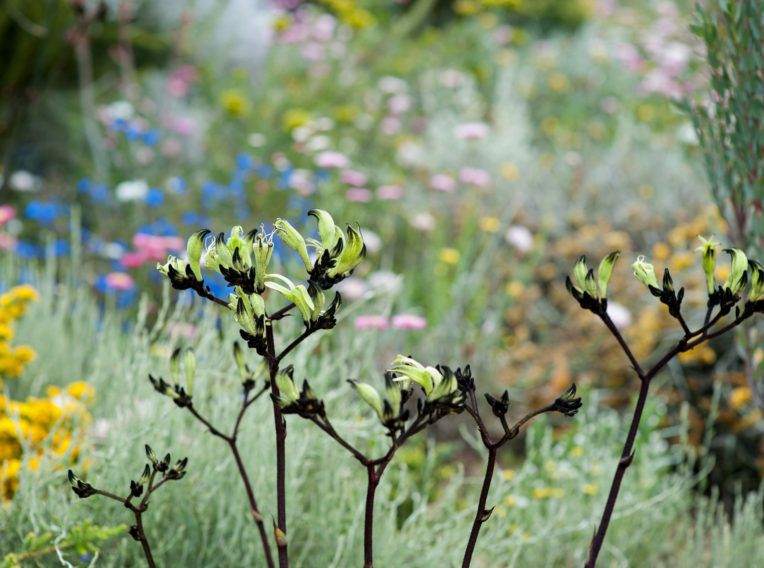 ), yellow kangaroo paw (Anigozanthos pulcherrimus) and black kangaroo paw (Macropidia fuliginosa). 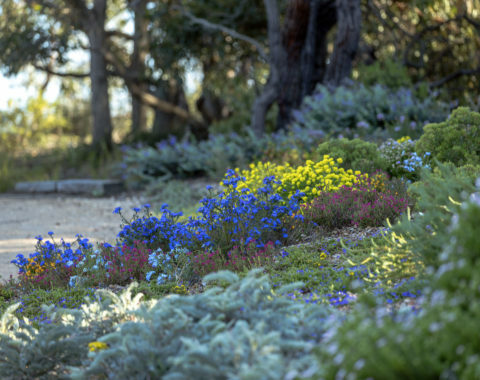 The Roe Gardens include the Grevillea and Hakea Garden and some spectacular north-western sandplain flora, including the mottlecah plant (Eucalyptus macrocarpa), which grows up to five metres high. Mottlecah is one of the very few tall plants amongst the diverse northern sandplains flora in Roe Gardens. 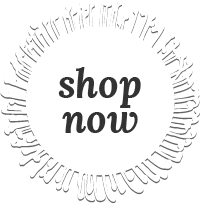 Lovers of honeyeaters take note of the Grevillea and Hakea Garden because the birds can not resist the super-abundance of nectar. Proteaceae are easy to grow, drought tolerant, flower for extended periods, respond well to pruning and grow as groundcovers, shrubs and trees, making this a great ‘inspirational’ garden for green thumbs looking for ideas to take home. Some of the more unusual (or unusually named) species include the cricket ball hakea (H. platysperma) named for its solid spherical fruits, white plume grevillea (G. leucopteris), which smells like old socks at dusk and dawn in order to attract moths to pollinate it, and the Grevillea armigera, otherwise known as ‘prickly toothbrushes’. 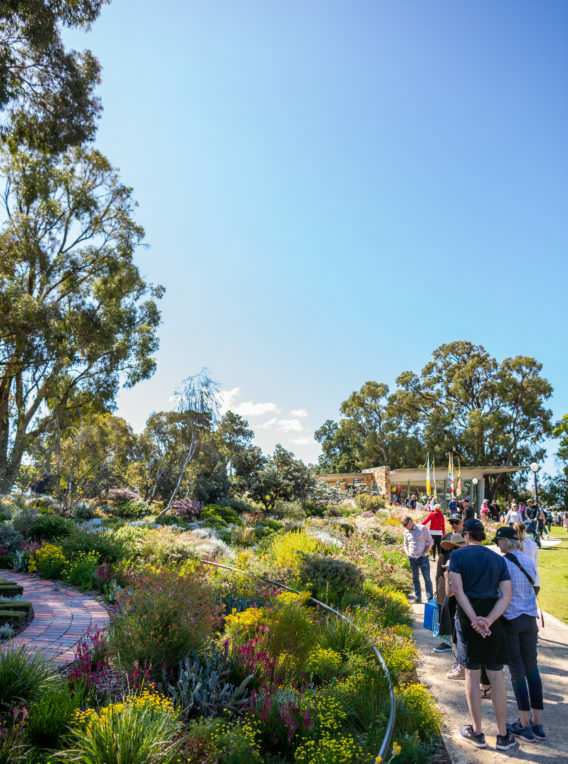 Take a walk amongst the treetops on the Lotterywest Federation Walkway, which wraps around and through the Gardens’ trees at birds-eye height. Up there you can make friends with zamia cycads and balgas or grass trees, taking in the perfect patterning of their radial symmetry as well as the canopy blossoms marri, karri, tingle and jarrah, the intricate cones of sheoak and the bounty of high-flying native bird and wildlife.